The members of the chaplaincy family find regular informal gatherings to be both useful and lots of fun. They become something like “mini-reunions” that are enjoyed nationally every two years. Local chapters of the U.S. Army Chaplain Corps Regimental Association (USACCRA) provide this opportunity. As a result, at least two new chapters are in the making. Barry Bowden agreed to coordinate the start of a chapter in the Fayetteville, NC area where so many of our number have retired to be near Fort Bragg. A small, but interested, group gathered for lunch at Luigi’s on July 23 and made the decision to meet again in about three months—this next time with some effort to spread the word to those who are not aware of what USACCRA is doing and would enjoy participating. Pictured are those who attended the lunch: Anita Cottingham, John Cottingham, Melanie Bowden, Barry Bowden, Tom Smith, Tim Leever, and Jim Johnson. Not pictured but present was Jerry Powell. A group who live in the Augusta, Georgia, area met on July 21 at Macaroni Grill for lunch. 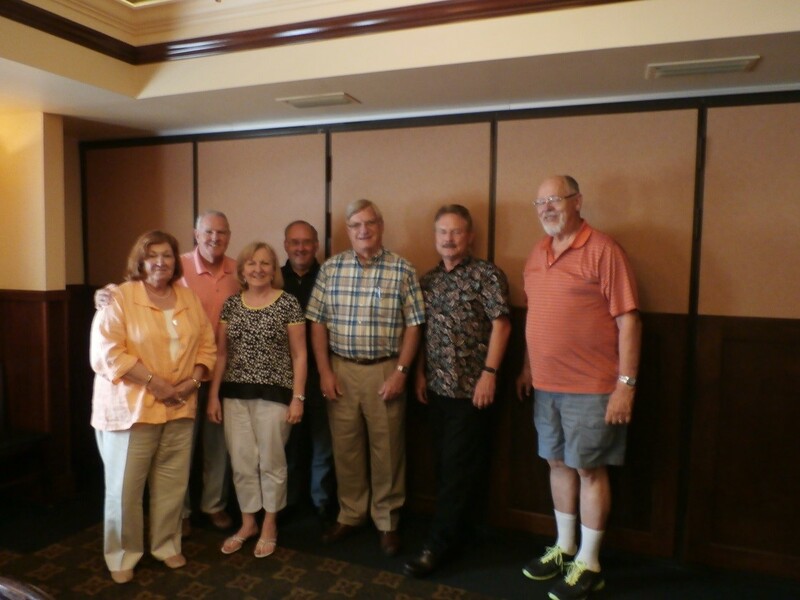 This combination of retired and active duty chaplaincy family members demonstrated the value of sharing information between the two groups and supporting their common goals. Suzanne Hall and Gloria Smith agreed to share the coordinating roll in getting the ball rolling there. The task is a simple one, since local chapters are free to decide how often, when, and where they will meet. Keeping the process as simple as possible is the key, with the most challenging task to locate and notify all those in our group who live in the area. 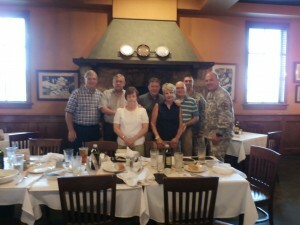 Pictured are those who attended the luncheon. Front Row: Suzanne Hall, Gloria Smith. Back Row: Tom Smith, Bob Hall, Randy Dillard, Charlie Smith, Herman Cheatham, and Tim Mallard. Anyone living in an area where other chaplaincy family members are also located can start a local chapter where you live. You may obtain a list of a few in your area from Tom Smith, VP for local chapters of USACCRA, whose e-mail address is tomsmith39@bellsouth.net.